Once you have admired the Matterhorn from up close, you will leave picturesque Zermatt and set off through the untouched landscape and mountain forests up to the Oberalp Pass at 2033 metres a.s.l. 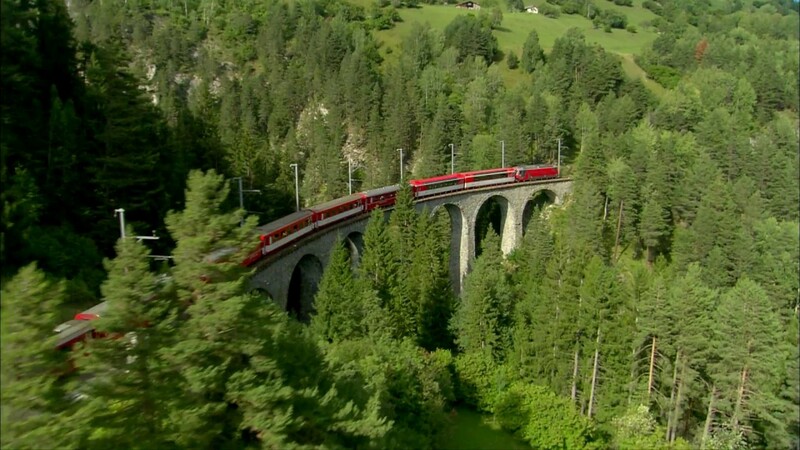 The train then winds its way past the white rock faces, through the Rhine Gorge and on to Chur. 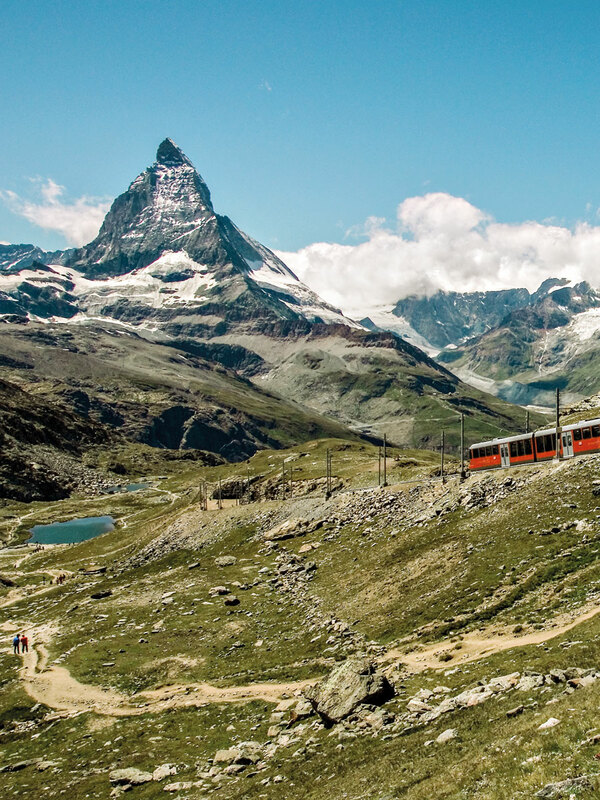 3.5 hours travel from Zurich Airport lies the famous town of Zermatt. The rest of the day is at your disposal. Overnight in Zermatt. After breakfast, walk to the Gornergrat railway valley station. Switzerland's first electric rack railway takes you up to the mountain station at 3089 metres a.s.l. in just 33 minutes. Once at the top, you can enjoy the breathtaking views of the Matterhorn, 28 of Switzerland's other 4000-metre peaks and the Gorner Glacier. Return to your hotel in Zermatt for the night. 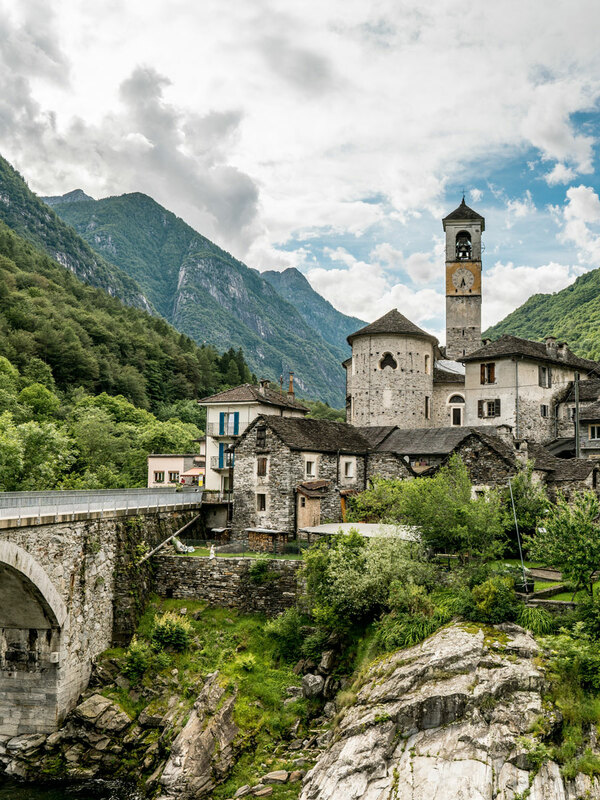 Fortified by an extensive breakfast, embark on what is one of the world's most spectacular alpine crossings. 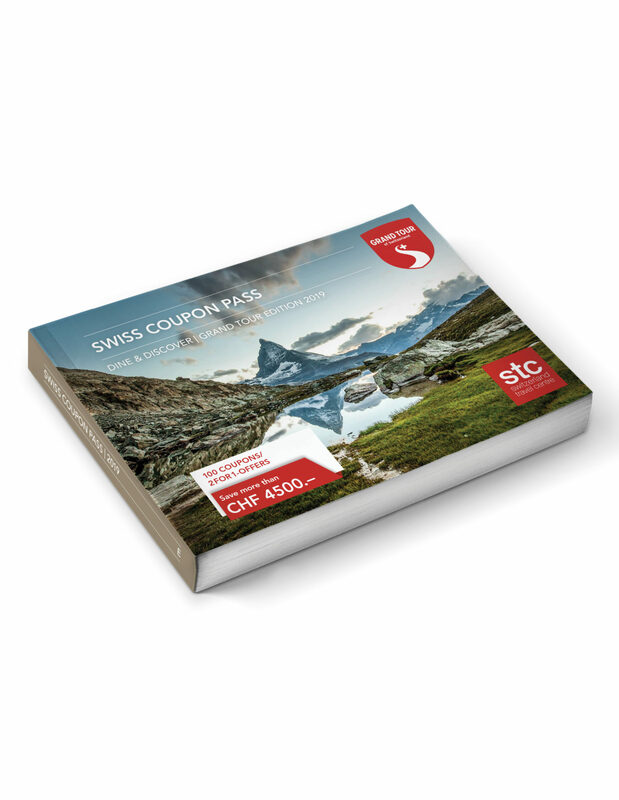 The Glacier Express takes you past traditional mountain villages and untouched mountain lakes, up to the Oberalp at 2033 metres a.s.l. 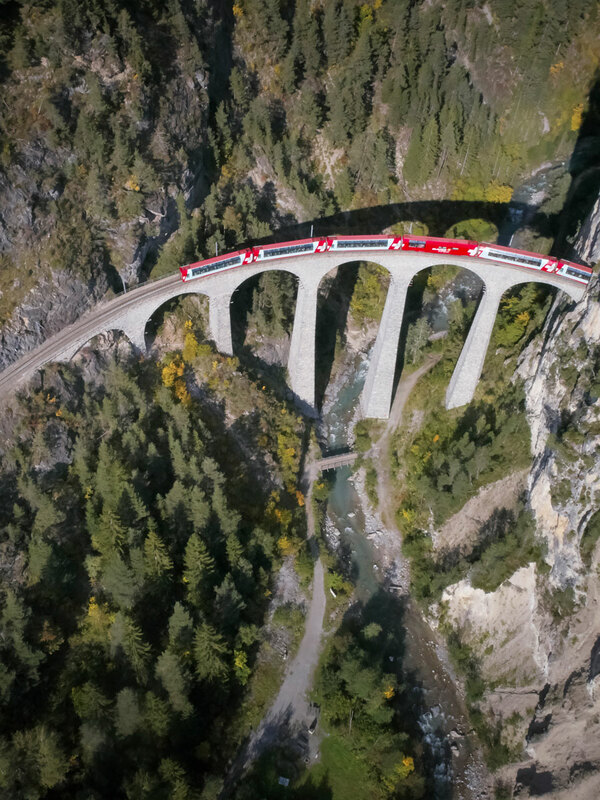 In the Canton of Grisons you'll cross the "Grand Canyon" of Switzerland, Rhine Gorge. Your journey on the Glacier Express ends in Chur, the oldest town in Switzerland. Overnight in Chur. Duration approx. 5h 30 min. 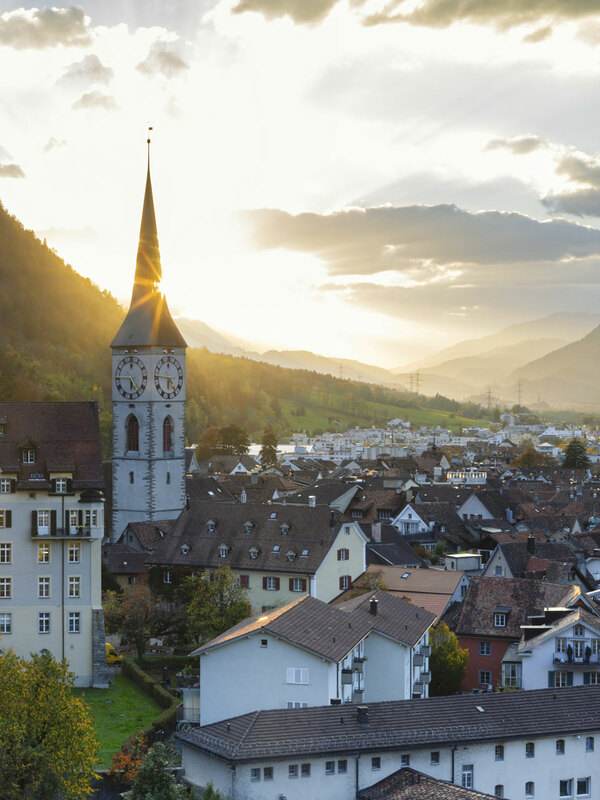 Embark on a stroll through the narrow streets of this charming alpine city before making your way back to Zurich Airport. Please email us with any special requests and for bookings with children trains@stc.ch.